Mount Katao in Sikkim is Nature's Surreal Creation. Sikkim is one of the most scenic states in India, and it owes most of its beauty to the towering mountain ranges that look straight out of a dream. One such breath-taking name is Mount Katao, located in the northern part of Sikkim, almost 144km from the capital, Gangtok, and 28km from Lachung. You will have to avail a permit from the army to enter the area where this majestic peak is located, but it will be well worth the effort. This surreal nature’s creation not only offers the traveller a splendid view but is also perfect for adventure lovers as try activities like skiing, snowboarding, snow tubing and stone grinding especially during the winter season. On your way to Mount Katao, do not miss the picturesque stunning waterfall. The Katao valley is covered with flora such as poppy, primula and rhododendron that make for gorgeous postcard pictures. The panoramic view of snow-capped peaks of the Himalayas here can give the much sought after Yumthang a run for its money. However, those who wish to enjoy Katao properly, are commended to reach Lachung the night before. In the morning, you can soak in the beauty of the place after being rested well. You can leave the next day for Gangtok, and on your way back you can also make a stop at Yumesamdong or Zero Point. Since Sikkim is close to the Peoples Republic of China’s border, the Defence establishment tends to keep things under a tight leash. Hence it is difficult to get individual permission for visiting these areas. It’s easier however, if you do it in groups. Other attractions to not miss while in Sikkim are: Gurudongmar Lake, Thangu (Trekkers), Chopta Valley, Phodong Monastery, Seven Sister’s Falls, Mangan and Singhik. The nearest airport from Gangtok is the Bagdogra Airport. You can opt for the chopper service that is available for Gangtok from Bagdogra. 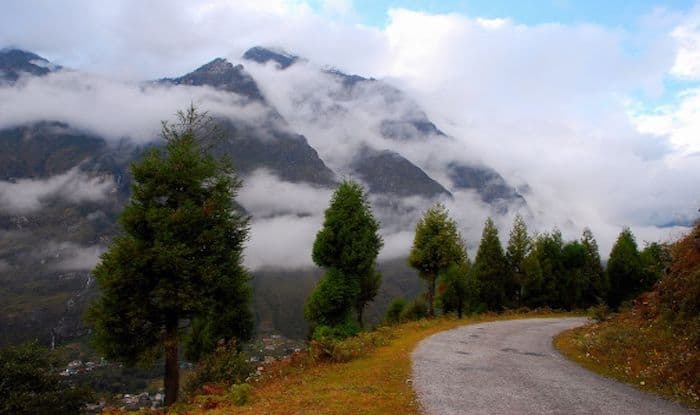 Gangtok to Lachung is a 5 – 6 hour drive and requires Inner Line Permit (ILP). The best time to visit Mount Katao is from March to June. However, if you want to enjoy adventure sports, winter months of December to February are ideal.